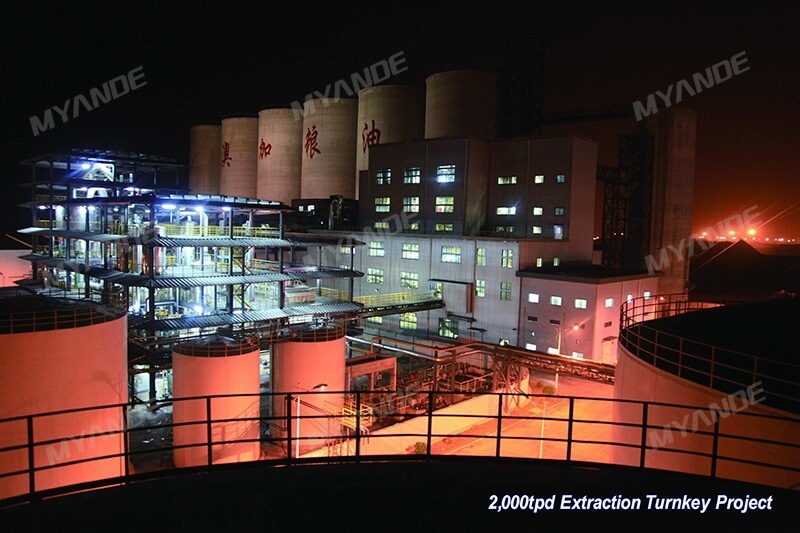 canola rapeseed oil pressing factories For Sale | Myande Group Co., Ltd. 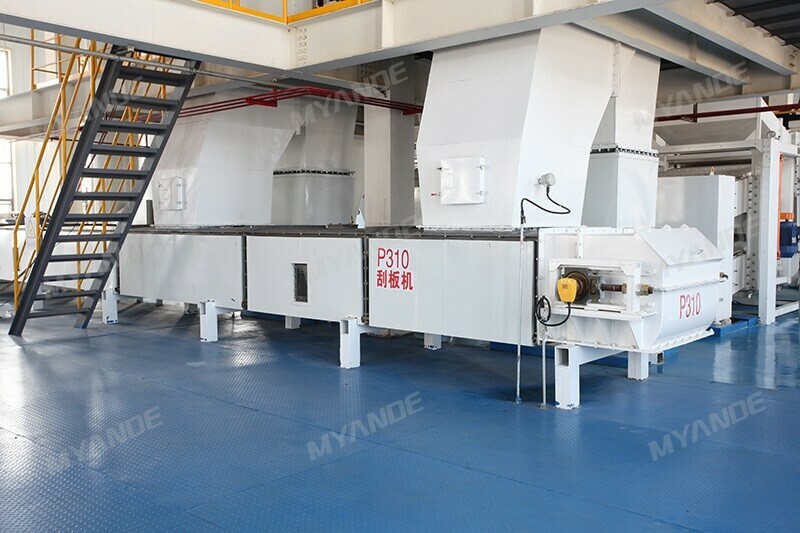 The purpose of canola seed preparation plant is to extract a portion of oil by mechanical pressing while providing pressing cakes for extraction plant. Main processes include Seed Cleaning & Weighing, Conditioning, Flaking, Cooking, Pressing, Oil Residue Separation. 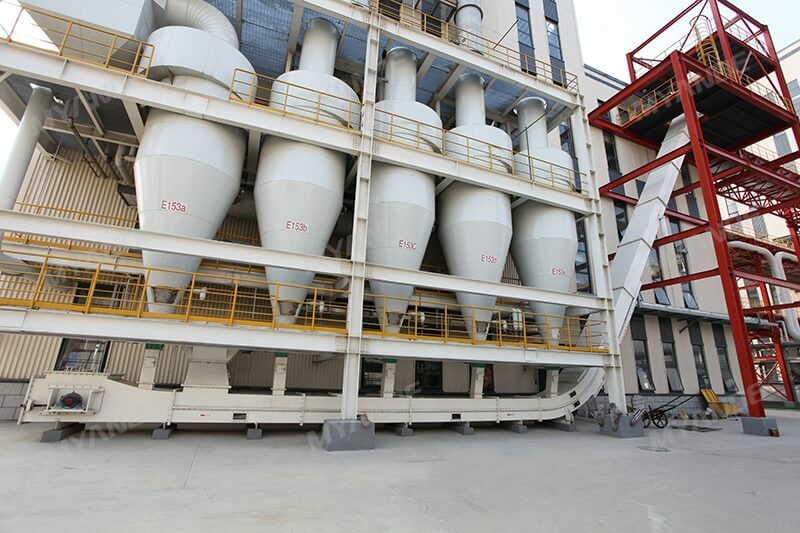 Rapeseeds from daily bin or warehouse is treated by magnetic separator, weighing scale and screener to remove impurities. The purpose of conditioning is to adjust moisture, temperature and tenacity of rapeseeds for better flaking. Vertical Conditioner is used in this section. The purpose of flaking is to flake the broken rapeseeds into thin flakes (from 0.3 to 0.35mm) for the subsequent oil extraction through mechanical pressing. 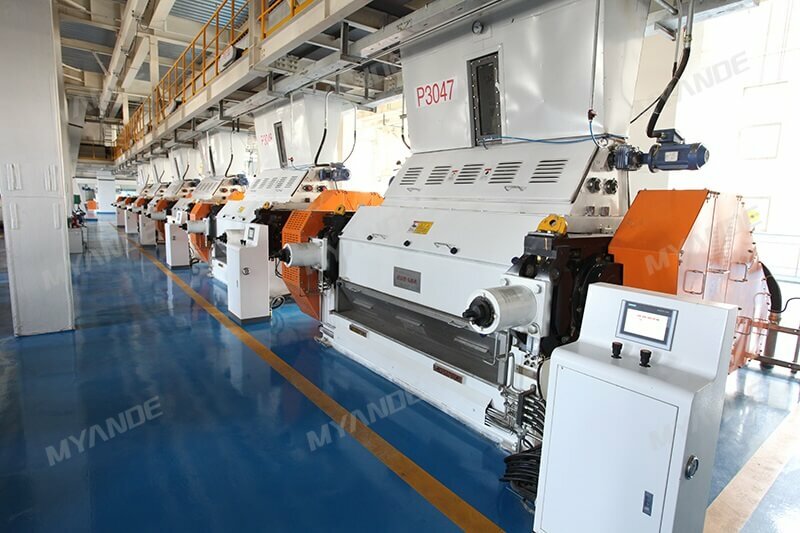 In addition, flakes thickness can be adjusted through the roll pressure adjustment device. Horizontal Drum Rotary Cooker is designed to adjust temperature and moisture of rapeseeds flakes prior to mechanical pressing, improving oil yield greatly. Rapeseeds is a kind of high oil-containing oilseed. 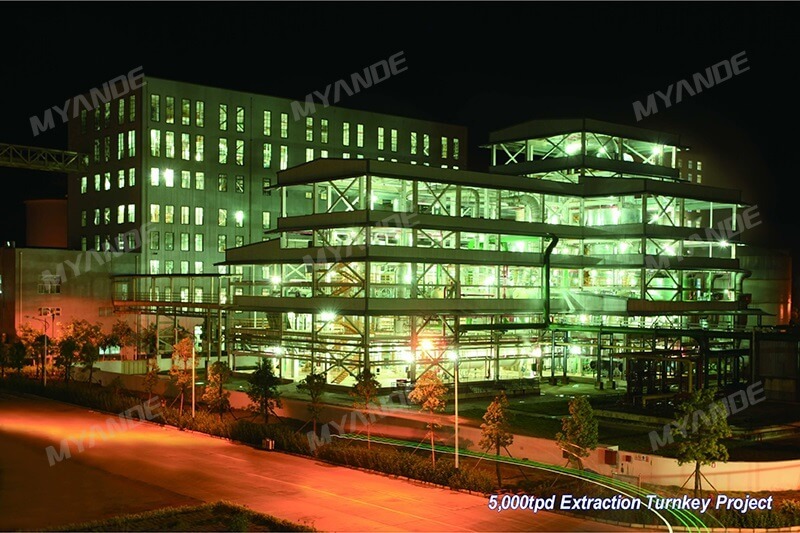 Generally, it is necessary to extract a portion of oil by mechanical pressing prior to the subsequent process. The content of residual oil in pressing cakes is around 18%. 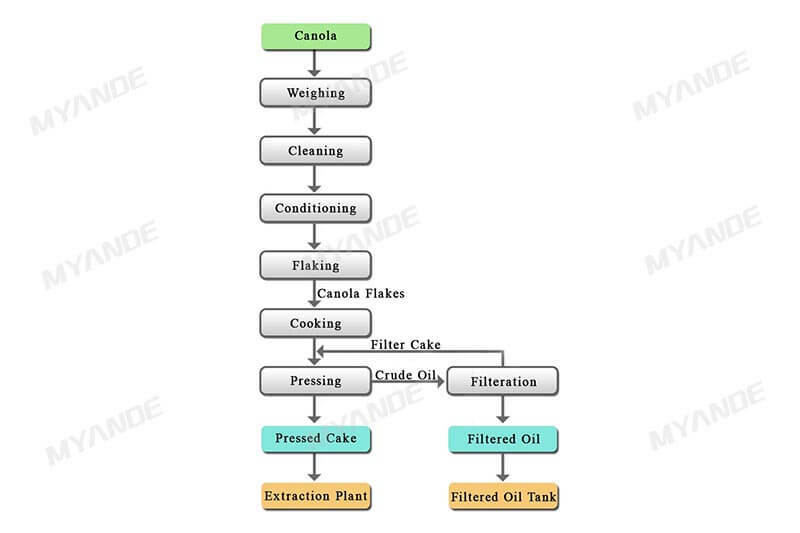 Cakes is then treated by solvent extraction while crude oil is to be filtered. Due to the high content of residue in crude oil, it is necessary to separate oil residue by oil drag conveyor firstly, crude oil then enters to settling tank for further separation. 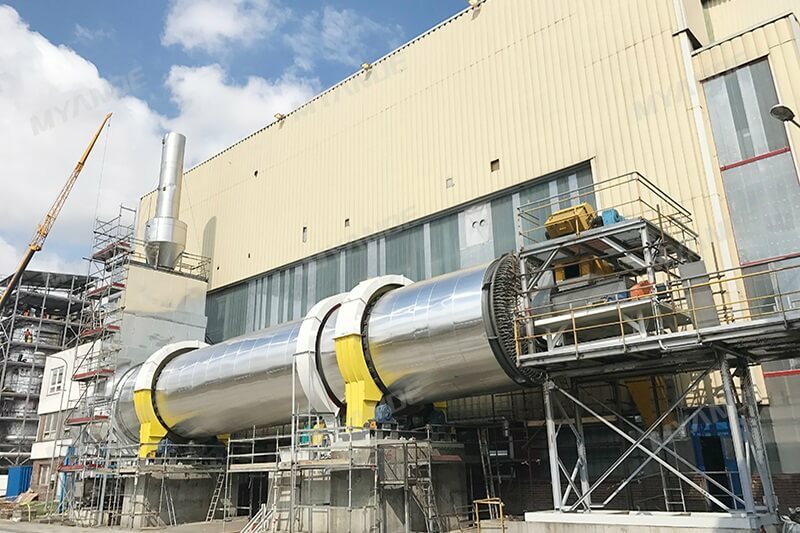 The collected residue is returned to pressing section while crude oil from settling tank is pumped to horizontal screw centrifuge or leaf filter for further removing impurities. 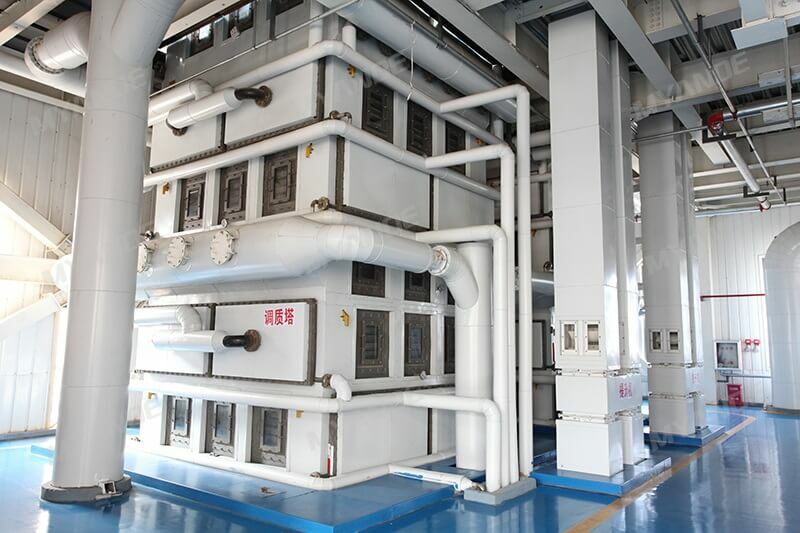 Hydraulic turning cooler with a complete set of wind network system is designed to cool down pre-pressing cakes to 55~60℃, then cakes is conveyed to the extraction plant.